Septic shock (sepsis) NCLEX questions for nursing students! 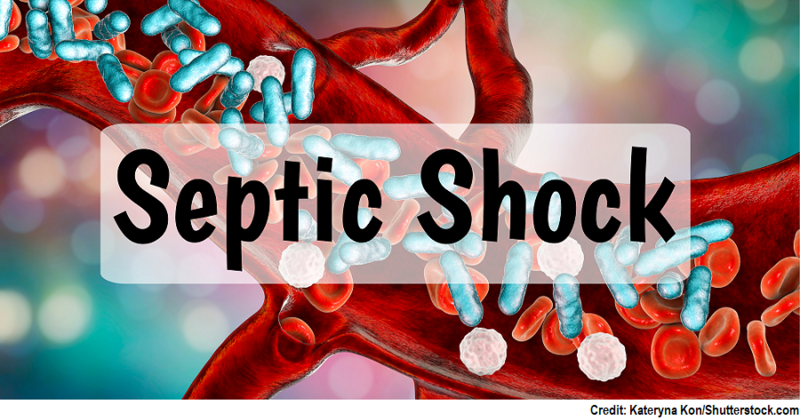 This quiz will test your knowledge on septic shock. Septic shock occurs when a patient has sepsis. Sepsis causes the body to activate the inflammatory response system, but it’s an amplified activation of this system. This leads to a decrease in tissue perfusion that will cause organ dysfunction. The cells that make up the organs/tissue will experience hypoxia and eventually multiple organ dysfunction syndrome (MODS) and death will occur. There are various types of shock: cardiogenic, hypovolemic, anaphylactic, septic, and neurogenic. Don’t forget to watch the lecture on septic shock before taking the quiz. 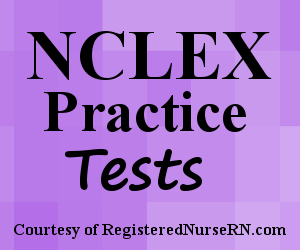 This quiz contain septic shock NCLEX questions to help prepare you for your exam. A. A 35-year-old female who is hospitalized with renal insufficiency and has a Foley catheter and central line in place. B. A 55-year-old male who is a recent kidney transplant recipient. C. A 78-year-old female with diabetes mellitus who is recovering from colon surgery. D. A 65-year-old male recovering from right lobectomy for treatment of lung cancer. A. The patient's blood pressure changes from 75/48 to 110/82. C. Patient's skin is warm and flushed. D. Patient's urinary output is 20 mL/hr. A. Administer Norepinephrine before attempting a fluid resuscitation. B. Collect cultures and then administer IV antibiotics. C. Check blood glucose levels before starting any other treatments. D. Administer Drotrecogin Alpha within 48-72 hours. A. "The nurse should titrate this medication to maintain a MAP of 65 mmHg or greater." B. "This medication causes vasodilation and decreases systemic vascular resistance." C. "It is used when fluid replacement is not unsuccessful." D. "It is considered a vasopressor." 1. True or False: Septic shock causes system wide vasodilation which leads to an increase in systemic vascular resistance. In addition, septic shock causes increased capillary permeability and clot formation in the microcirculation throughout the body. The answer is FALSE. This statement is incorrect because there is a DECREASE (not increased) systemic vascular resistance in septic shock due to vasodilation. In septic shock, vasodilation is system wide. In addition, septic shock causes increased capillary permeability and thrombi formation in the microcirculation throughout the body. The vasodilation, increased capillary permeability, and clot formation in the microcirculation all leads to a decrease in tissue perfusion. This causes organ and tissue dysfunction, hence septic shock. 2. A patient is diagnosed with septic shock. As the nurse you know this is a __________ form of shock. In addition, you’re aware that __________ and _________ are also this form of shock. The answer is B. Septic shock is a form of distributive shock. This means there is an issue with the distribution of blood flow in the small blood vessels of the body. This results in a diminished supply of blood to the body’s tissues and organs. Anaphylactic and neurogenic shock are also a type of distributive form of shock. Septic shock isn’t occurring due to an issue with cardiac output, which occurs in hypovolemic and cardiogenic shock. The answers are A and C. To know if the patient is progressing to septic shock, you need to think about the hallmark findings associated with this condition. Septic shock is characterized by major persistent hypotension (<90 SBP) that doesn’t respond to IV fluids (refractory hypotension), and the patient needs vasopressors (ex: Norepinephrine) to maintain a mean arterial pressure greater than 65 and their serum lactate is greater than 2 mmol/L. A serum lactate greater than 2 indicates the cell’s tissue/organs are not functioning properly due to low oxygen; hence tissue perfusion is poor due to the low blood pressure and mean arterial pressure. The answers are B, C, and E. Septic shock occurs due to sepsis. Sepsis is the body’s reaction to an infection and will lead to septic shock if this reaction is not treated. This reaction is the activation of the body’s inflammatory system, but it’s MAJORLY amplified and system wide. Cardiac output is not the problem in septic shock as with other types of shocks like hypovolemic or cardiogenic. CO is actually high or normal during the early stages of septic shock. It only decreases to the end of septic shock when heart function fails. The issue is with what is going on beyond the heart in the vessels. Substances are released by the microorganism that has invaded the body. This causes the immune system to release substances that will cause system wide vasodilation of the vessels (this will cause a DECREASE in systemic vascular resistance, blood to pool, and this decreases blood flow to the organs/tissues) along with an increase in capillary permeability (this causes fluid to leave the intravascular system and depletes the circulatory system of fluid and further decreases blood flow to the organs/fluids…this is RELATIVE (not absolute) hypovolemia). Furthermore, clots will form in the microcirculation due to plasma activating factor being released. This will cause platelets to aggregate and block blood flow even more to the organs/tissues. All of this will lead to decreased tissue perfusion and deprive cells of oxygen. 6. A patient is at risk for septic shock when a microorganism invades the body. Which microorganism is the MOST common cause of sepsis? The answer is D. Gram-positive or gram-negative bacteria are the MOST common cause of sepsis. The answers are B and C. In the early or compensated stage of septic shock, the patient is in a hyperdynamic state. This is different from the other types of shock like hypovolemic or cardiogenic (vasoconstriction is occurring in these types of shock). In septic shock, vasodilation is occurring and this leads to WARM and FLUSHED skin in the early stage. However, in the late stage the skin will be cool and clammy. Tachycardia and TACHYpnea (not bradypnea) occurs in the early stage too as a compensatory mechanism. Oliguria (option A) is in the late stage or uncompensated when the kidneys are starting to fail. The answers are A, B, C, and E. When answering this question, select the options that would indicate the body’s organs/tissues are NOT being perfused adequately. A MAP should be 65 or greater for proper tissue perfusion to occur. Urinary output should be at least 30 mL/hr. Serum lactate should be less than 2 mmoL/L….if it’s high this indicates cells are not receiving enough oxygen due to low tissue perfusion. A central venous pressure (CVP) is 8-12 mmHg. This shows the filling pressure in the right side of the heart. If this number is low there is not enough fluid filling in the heart to maintain cardiac output. This occurs in septic shock due to hypovolemia from increased capillary permeability where fluid shifted from the intravascular to the interstitial space. When adequate fluids are given the CVP should be 8-12 mmHg. 9. The physician orders a patient in septic shock to receive a large IV fluid bolus. How would the nurse know if this treatment was successful for this patient? A. The patient’s blood pressure changes from 75/48 to 110/82. C. Patient’s skin is warm and flushed. D. Patient’s urinary output is 20 mL/hr. The answer is A. In septic shock, the first treatment is to try to maintain tissue perfusion with fluids. If that doesn’t work to increase the blood pressure and maintain perfusion, vasopressors will be used next. In septic shock, the intravascular space will be depleted of fluid due to an increase in capillary permeability. This will lead to hypovolemia, which will decrease blood pressure and lead to a decrease in blood flow to organs/tissue. If the blood pressure increases to a normal state, that tells us the fluids are working. 10. A patient in septic shock receives large amounts of IV fluids. However, this was unsuccessful in maintaining tissue perfusion. As the nurse, you would anticipate the physician to order what NEXT? The answer is D. Fluids are ordered FIRST in septic shock. If this is unsuccessful, then vasopressors are ordered NEXT. Norepinephrine is used as a first-line agent. Dobutamine may sometimes be used but for its inotropic effects on the heart. 11. Your patient, who is post-op from a kidney transplant, has developed septic shock. Which statement below best reflects the interventions you will perform for this patient? The answer is B. This is the only correct option. Option A is wrong because fluids are administered first, and if they don’t work vasopressors (Norepinephrine) is administered. Option C is wrong because although blood glucose levels should be measured, it does not take precedence over other treatments. Option D is wrong because Drotrecogin alpha should be given within 24-48 hours of septic shock to be the most effective. The answer is D. If a patient is experiencing hyperglycemia an insulin drip may be ordered to control glucose levels. Hyperglycemia affects the immune system and healing. A blood glucose goal in this patient is <180 mg/dL. 13. Which medication below can be used within the first 24-48 hours of septic shock and provides anti-inflammatory and antithrombotic effects? The answer is C. This is activated protein C. Drotrecogin Alpha has anti-inflammatory and antithrombotic effects. It needs to be started within the first 24-48 hours to be most effective and be sure to watch for BLEEDING. 14. A patient is on IV Norepinephrine for treatment of septic shock. Which statement is FALSE about this medication? The answer is B. This statement is FALSE because this medication causes vasoconstriction (not vasodilation) which INCREASES systemic vascular resistance. 15. Your patient’s blood pressure is 72/56, heart rate 126, and respiration 24. The patient has a fungal infection in the lungs. The patient also has a fever, warm/flushed skin, and is restless. You notify the physician who suspects septic shock. You anticipate that the physician will order what treatment FIRST? The answer is B. The first treatment in regards to helping maintain tissue perfusion is fluid replacement with either crystalloid or colloid solutions. THEN vasopressors like Norepinephrine are ordered if the fluids don’t help.